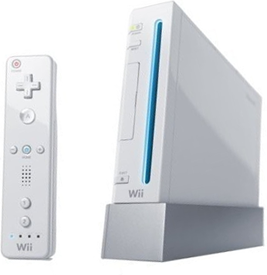 Nintendo's fifth home console, codenamed Revolution, was released as the Wii in 2006. The system abandoned the industry's race for better graphics, focusing on providing a unique way of controlling games. The wireless Wii Remote is able to detect movement using a sensor placed on top of the television set. You can download channels onto the Wii home menu, including classic titles for the Virtual Console, and all-new WiiWare games. Information on all first-party Wii hardware and accessories.